With the exception of a few articles in the Gazette and the Oklahoman, it seems that there has been very little attention paid to the upcoming city council races on March 3. Voter apathy is at an all time high. This is unfortunately especially true of young people under 38. The eight councilors and Mayor Cornett who make up our city council have been progressive in many ways. They have stressed quality-of-life investments such as the various incarnations of MAPS and the 2007 General Obligation Bond. Together, the various public initiatives have undeniably made our city a better place to live. MAPS and the GO Bond is a big reason that I decided to stay in Oklahoma City. In a place that is devoid of an ocean, mature trees in most areas, and other natural attributes, this can be a tough place for a person to want to live. But how many peer communities can boast the ability to reinvent their cities every 7 seven or so years all in the cusp of a majority citizen vote? We could build virtually anything with these initiatives. Our community has the mechanism in place to dare to dream. That’s why the race in Ward 8 concerns me. Three people are vying to replace Pat Ryan who is retiring from the council this year. Mark Stonecipher, Steve Curry, and John Ederer all want the seat in this suburban ward. The Ward 8 race matters because the position will probably go to either Mark Stonecipher or Steve Curry due to their ability to fundraise. Mr. Ederer seems to be a well-intentioned and spirited community supporter, but most political observers believe he will have a difficult time due to the campaign funding disparity. With all that stated, Mr. Curry’s rhetoric concerns me. Most of the political rhetoric is the normal stuff you’d expect- streets, public safety, neighborhoods, and the like. It is the thinly veiled rhetoric about his ambitions to examine looking at alternatives to the sales tax dollar to finance future incarnations of MAPS that is concerning. Wouldn’t one think that if there were alternatives to the sales tax our city leadership would have considered them? He references on his website his desire to open a dialogue with local retailers as to what they think the impact of the penny on the dollar affects their competitiveness and ability to grow. He also repeatedly refers to his concern about taxes in general. Is the Grover Norquist style anti-tax agenda really the Pandoras box we want to open with MAPS? I say no. I say to Mr. Curry to leave it alone. We need sidewalks. We need parks. We need a police-training center. We need a comprehensive public transit system. We need the public’s support in the next MAPS and GO Bond to get those things done. It seems that there is very little vision with Mr. Curry’s campaign and an accountant’s obsession with the numbers. Let’s hire accountants to tell us what we can afford and continue as a community to dream big. Mr. Ederer’s youthful spirit has my heart, but Mr. Stonecipher has my vote. 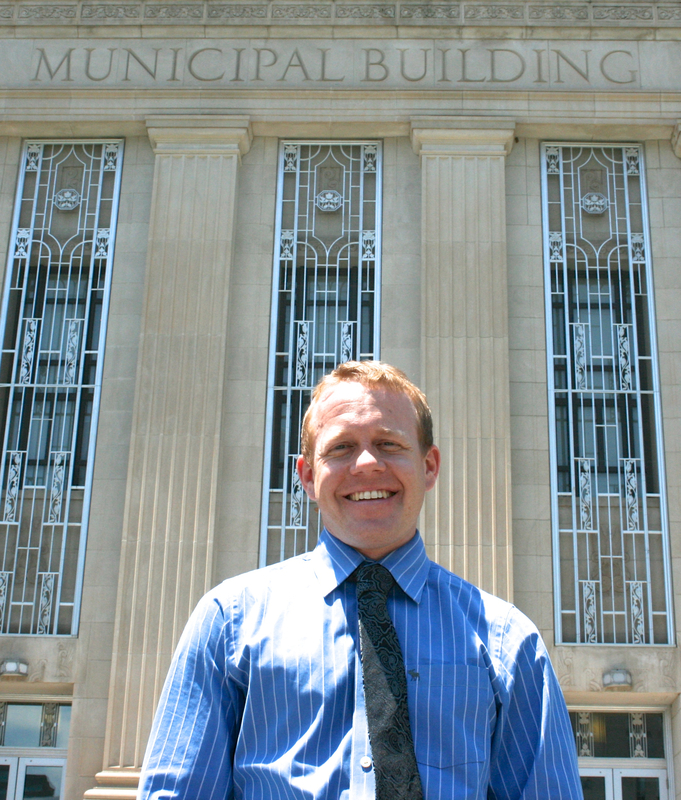 Jeff Bezdek is President of Bezdek + Associates and a member of the MAPS 3 Transit Subcommittee. Tagged community, Jeff Bezdek, John Ederer, MAPS, Mark Stonecipher, Mayor Cornett, Pat Ryan, public, Steve Curry, Transit Subcommittee. Bookmark the permalink.